Hope Aur Hum movie First Poster out. Naseeruddin Shah and Sonali Kulkarni are playing the main lead role. The film, produced by Thumbnail Pictures and is presented by PVR Pictures. It will release across cinemas on 11th May 2018. The film has the incredible cast including names like Naseeruddin Shah, Sonali Kulkarni, Kabir Sajid, Naveen Kasturia and Aamir Bashir. 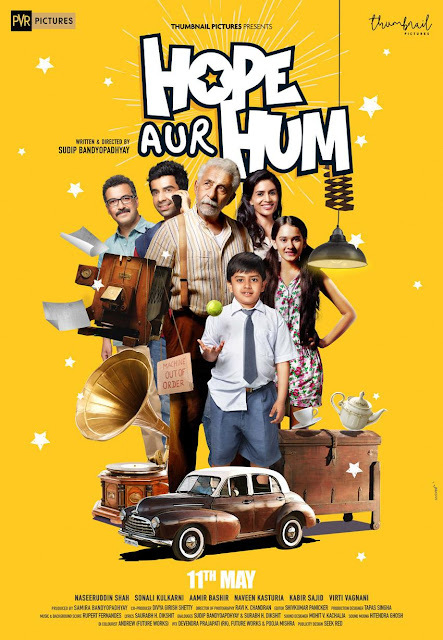 Hope Aur Hum story based on the reminiscent tale of a family in Mumbai whose lives are explored through a heartwarming cinematic journey.